In the wake of the global financial crisis, investors have suffered significant losses as a result of breaches of conduct of business rules in the distribution of financial instruments. MiFID II introduced new disclosure, distribution and product governance rules to strengthen the protection of investors but, like MiFID I, did not harmonise the civil law consequences for their violation. 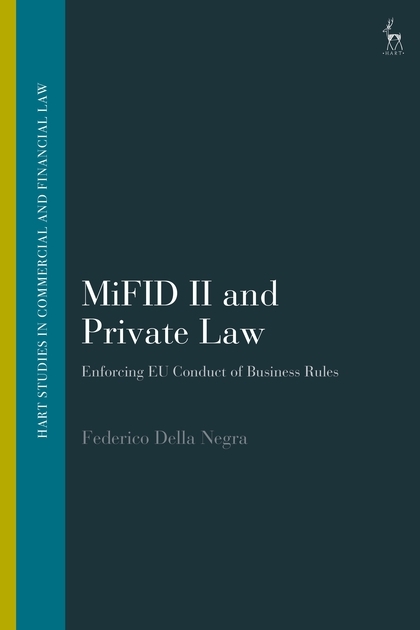 This book asks whether, in spite of the silence of the EU legislators, the MiFID II conduct of business rules may produce civil law effects, enabling investors to enforce them against investment firms before national courts and alternative dispute resolution (ADR) mechanisms. 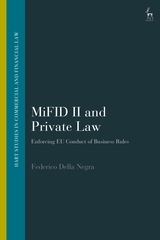 Building on the case law of the CJEU, the book shows the conditions under which the breach of MiFID II conduct of business rules should give rise to a private law remedy, and what remedies would be compatible with EU law. MiFID II and Private Law is an essential contribution to academic research in EU and financial law and will be a key text for policy-makers and legal practitioners working in the field of investor protection regulation and mis-selling litigation. Federico Della Negra is a Legal Counsel at the European Central Bank and obtained his PhD in law at the European University Institute.